We are a reputed entity in the industry, actively engaged in offering an optimum quality range of Imperial Granite Stone. - Size: Available in Slab and all normal size: 30x30, 60x30, 60x60, and 60x90. - Finish: polished, flamed, honed, and bush hammered and many more. - Usage: Interior and exterior decor of homes and offices. 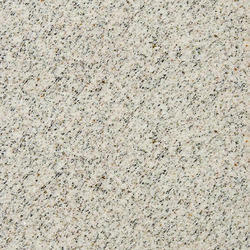 Granite with base color white with patterns like snow leopard. Looks exotic when combined with Black colored border & vibrant with bright colored borders.